Schools combine under common ownership to create one of the largest bodies of pre-licensure health care students and graduates in the Bay AreaFremont, Calif., (December 30, 2014) – HealthEd, Inc., the parent company of Unitek College, today welcomed NCP College of Nursing into the HealthEd Family of companies. 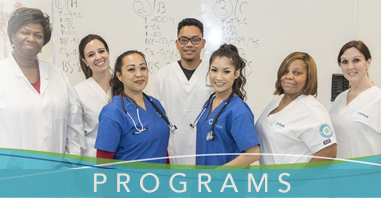 As a combined education group, the two nursing colleges will generate among the largest number of health care pre-licensure students and health care graduates in the Bay Area. This acquisition is part of HealthEd Inc.’s long-term strategy to address the world’s nursing shortage. The Bureau of Labor Statistics projects a 19 percent growth in employment for registered nurses from 2012–2022 compared to an 11 percent average growth rate for all occupations. As the Affordable Care Act gains traction and the aging “Baby Boomer” generation grows, there is a growing shortage of primary care physicians and nursing graduates, which is creating an incredible opportunity for job growth in the health care sector. “Unitek College and NCP College of Nursing reach individuals who may not have thought college was for them, and may often be first time college students in their family,” says Christy Torklidson, chief academic officer of Unitek College. Both colleges are accredited by the Accrediting Commission of Career Schools and Colleges (ACCSC). Unitek College was recently accredited by the Commission on Collegiate Nursing Education (CCNE) for its Registered Nurse (RN) to Bachelor of Science in Nursing (BSN) program. Unitek College serves its local Northern California communities with a campus in Fremont, a campus in Sacramento and a campus in San Jose. Unitek College offers programs in Medical Assisting, Pharmacy Technician, Vocational Nursing, Registered Nurse Bridge – LVN to RN, and an online Bachelors of Science in Nursing – RN to BSN program. The Baccalaureate Degree in Nursing program at Unitek College is accredited by the Commission on Collegiate Nursing Education (CCNE) (http://www.aacn.nche.edu/ccne-accreditation). Unitek College is also accredited by the Accrediting Commission of Career Schools and Colleges (ACCSC).Unitek College is approved by the Bureau for Private Postsecondary Education (BPPE). Unitek is approved by the California Board of Vocational Nursing and Psychiatric Technicians for training in vocational nursing and is approved by the Board of Registered Nursing for LVN to RN Transition ADN program. To learn more about Unitek College, and the programs offered at each of its campuses, visit www.unitekcollege.edu or call 888-775-1514. Founded in 1993 by Nelly Jocson, RN, NCP College of Nursing has offered nursing training to a diverse student body for over 17 years. NCP College of Nursing offers a Licensed Vocational Nursing training program from its Hayward and South San Francisco campuses and is accredited by the Accrediting Commission of Career Schools and Colleges (ACCSC), the California Board of Vocational Nursing and Psychiatric Technician (BVNPT) and is approved by the California Department of Public Health (CDPH) and the Bureau for Private Postsecondary Education (BPPE). NCP is also approved under the provisions of Title 38, United States Code, to train veterans and eligible persons. 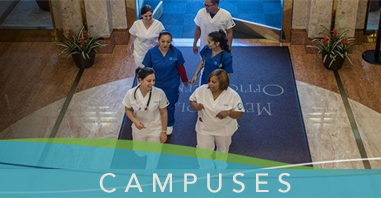 To learn more about NCP College of Nursing and the programs offered at each of its campuses, visit www.ncpcollegeofnursing.edu or call 800-611-4054.